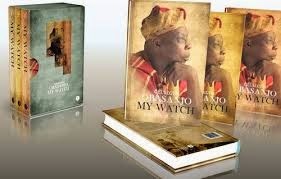 Former President Olusegun Obasanjo, in his controversial autobiography titled, My Watch, said he never knew, former First lady Stella Obasanjo had plans of undergoing a tummy tuck to mark her 60th birthday anniversary. A cosmetic surgery that later killed her. "I instructed that the doctor and the clinic be prosecuted. The lost life cannot be brought back but the successful prosecution would prevent carelessness and loss of life in the future". He said the doctor was made to pay damages which was collected by Olu, Stella's only child and the doctor's license withdrawn.